Be ready to experience the Baja desert like never before. 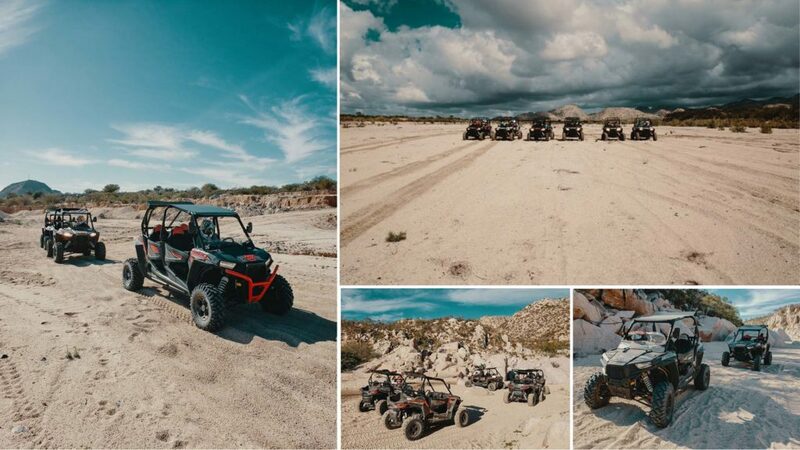 Pick between our RZR 900 and RZR 1000, and explore the jewels of the desert and sea in this guided tour. You get to choose between a sand dune course (Mogote) next to the ocean and a desert course (Cajoncito) through a dry creek. Both courses are amazing and it just depends what kind of scenery you want to enjoy, and what kind of terrain you want to ride on. For approximately 3 hours, you will be driving these powerful machines at top speed under the Baja skies. If you are an adrenaline junkie, look no further, this is the perfect tour for you! The Sonoran Desert is the hottest and most bio-diverse of the North American deserts.